We are seeking donations to generate funding to test suspected "double merle" dogs with vision and/or hearing impairments. We hope to gain genetic knowledge based on specific merle allele combinations that can delete pigment to white and cause these types of impairments. 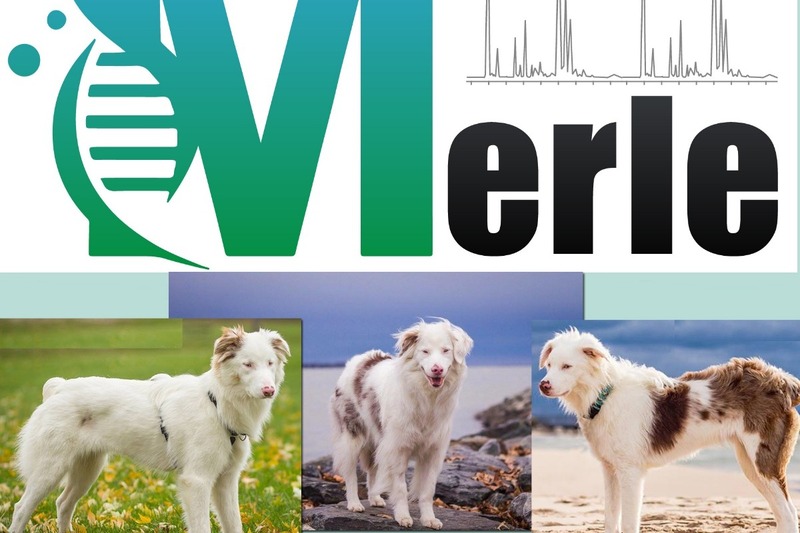 This is an entirely public funded study in conjunction with the recent Merle paper publication “Merle phenotypes in dogs – SILV SINE insertions from Mc to Mh"
“Langevin et at” - Langevin M, Synkova H, Jancuskova T, Pekova S (2018) Merle phenotypes in dogs – SILV SINE insertions from Mc to Mh. 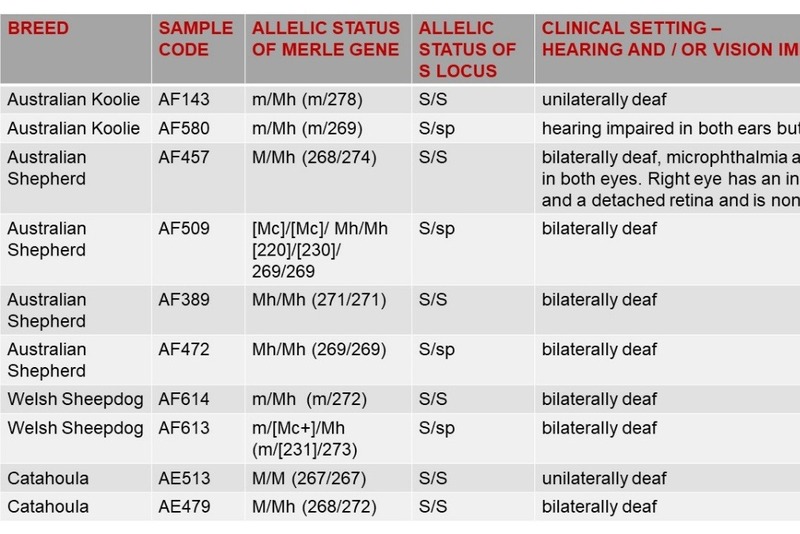 9 out of the 10 "excessive white" dogs Merle tested for this paper did not have the commonly expected M allele involved but included results of Mh - a longer length of Merle that can delete pigment on it's own without the dog being "double merle." Since high resolution Merle testing that can accurately report base pair numbers (the length of the Merle allele) must be done through a lab with this type of advanced technology we will use Vemodia Labs in the Czech Rep (the same lab used for the Merle paper) for this testing. All dogs should also be tested for Piebald - sp on the S Locus since this can also create white on the body. 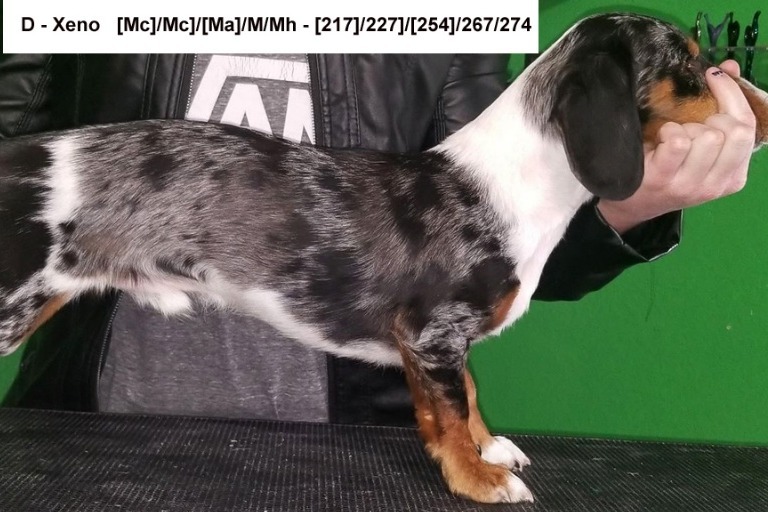 Since this is a significant added cost, a Merle test will be done first and results noted before deciding if Piebald testing is necessary. Shown is figure 15 from the "Langevin et al" Merle Paper. 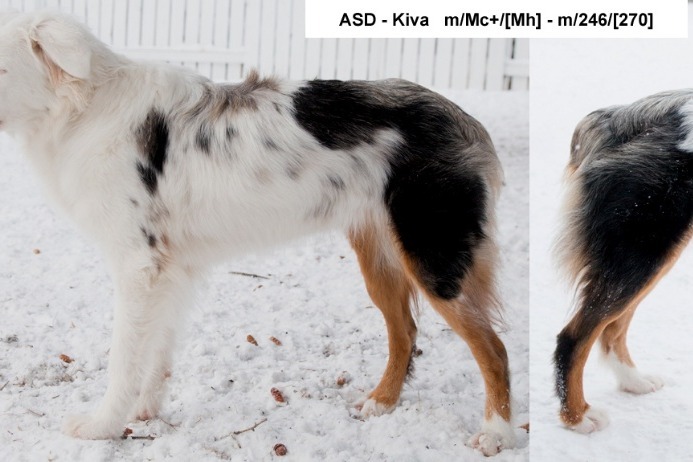 Only 1 dog was the expected M/M, all other had at least one Mh allele. Our goal is to see how often Mh is involved with hearing and/or visions impairments and possibly publish a research paper to follow up with the first paper. All results to date are listed on Merle - SINE Insertion from Mc - Mh. 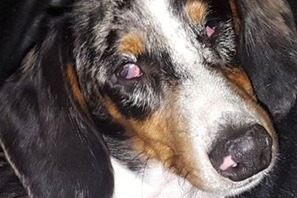 Bilaterally Deaf and Bilaterally Vision Impaired - Kiva is the first heterozygous Merle - m/Mh tested who has vision impairments. All other m/Mh tested dogs so far have had hearing impairments only. Xeno is Bilaterally Deaf - Unilaterally Blind, Unilaterally Vision Impaired. He is M/Mh by his parents and has some shortened alleles making him a "mosaic". Thank you for your donations towards this cause.